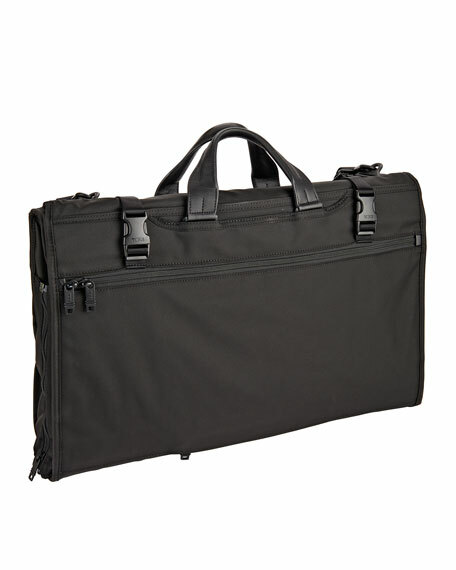 Garment bag made of ballistic nylon. 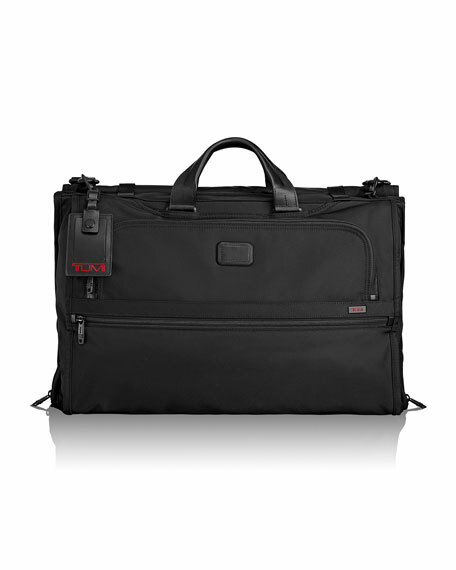 Accommodates one or two garments. Interior curtain with zip pockets. 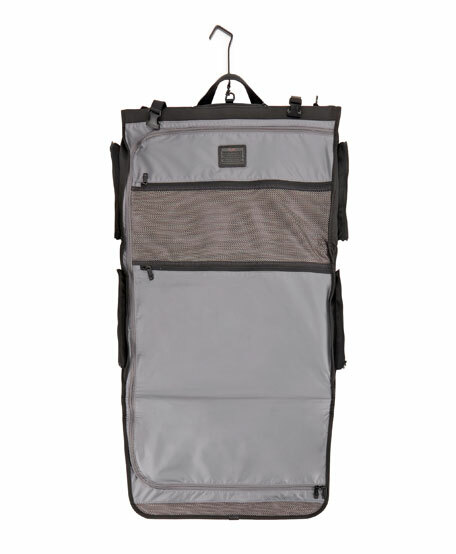 Exterior U-zip pocket, ticket pocket, and removable shoulder strap. 22"W x 6"D x 15"T; expands to 43"D.
For in-store inquiries, use sku #1723266.